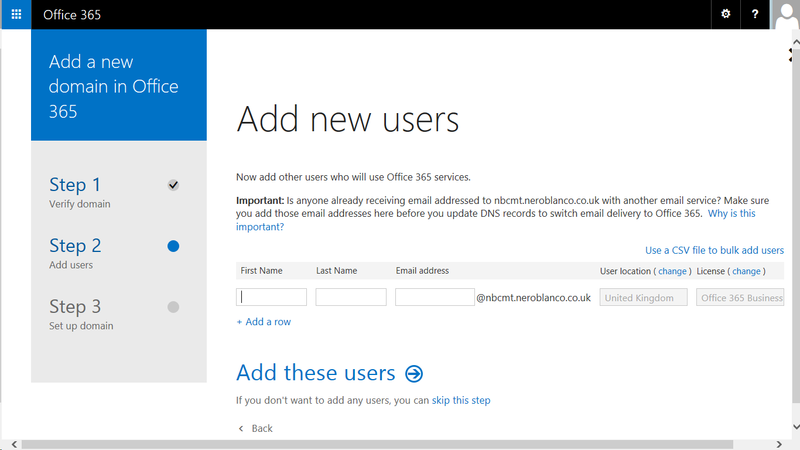 Setting up a new Office 365 tenant may seem daunting, but actually it is a pretty simple process. In this blog we will take you through step-by-step from going to http://www.office365.com through to having a tenant fully functional. 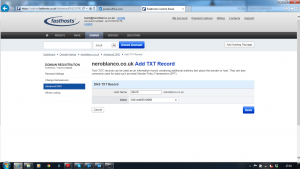 We always love a freebie, and a one month free trial is perfect for getting everything set up and tested. 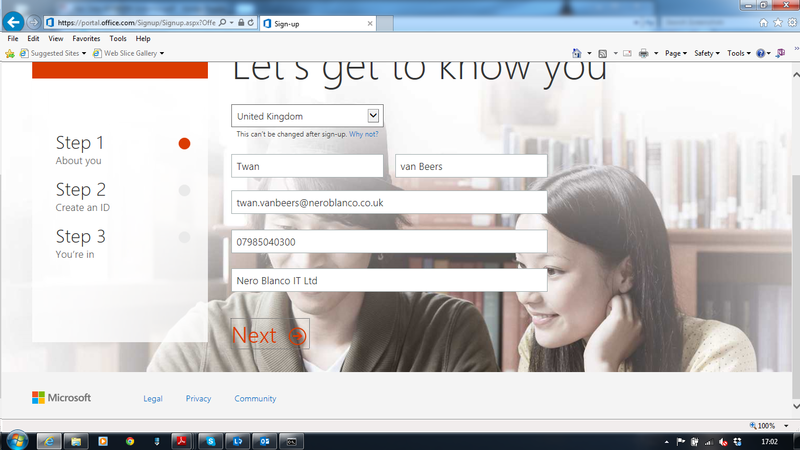 Enter your details on this next page. 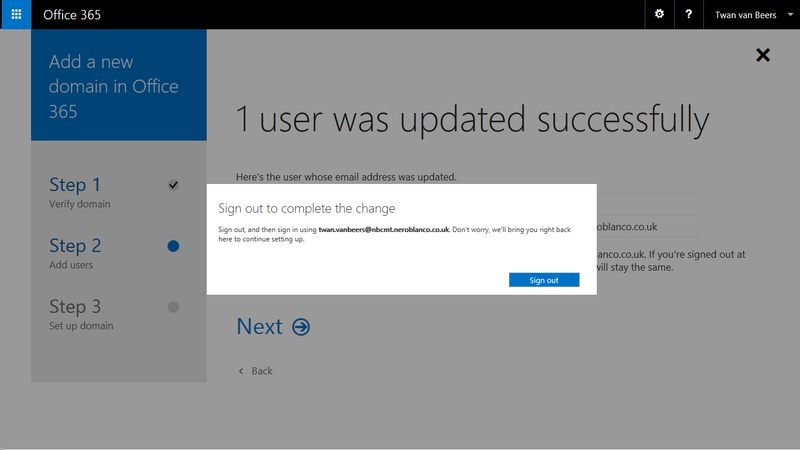 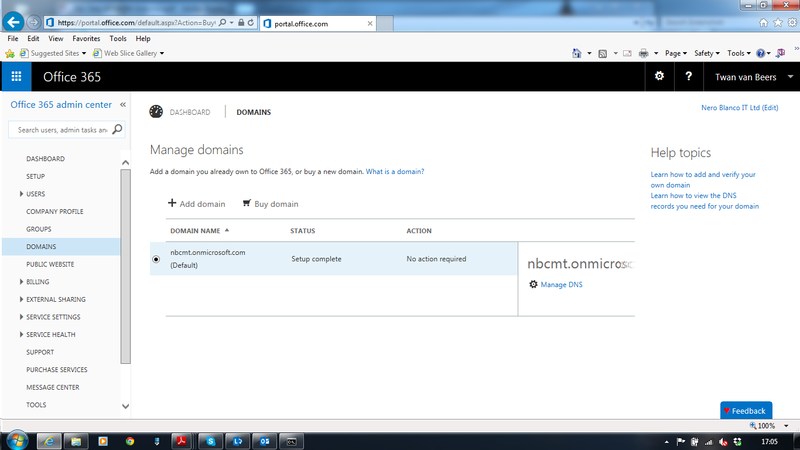 Microsoft will now set up your tenant with a very basic configuration. 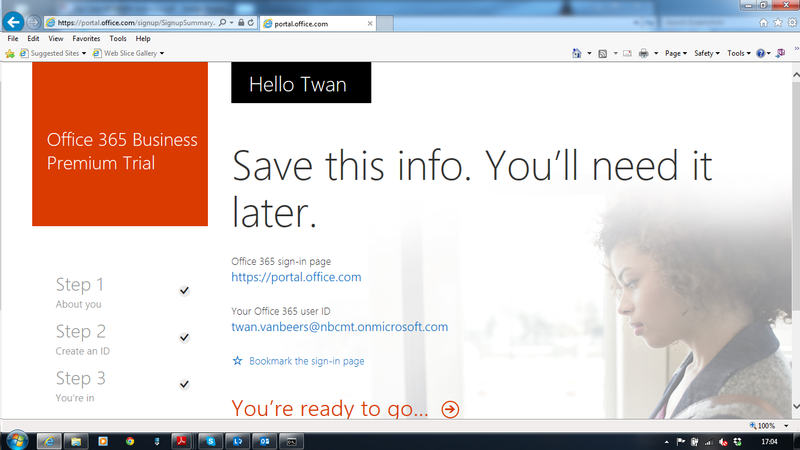 Step 10: Click You’re ready to go! 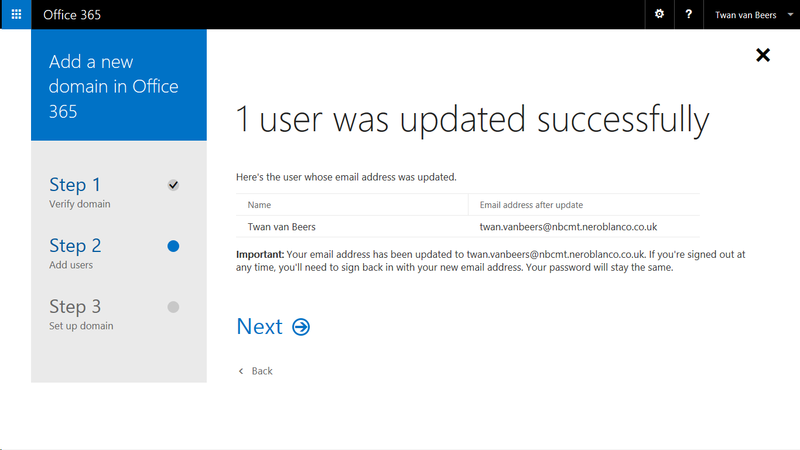 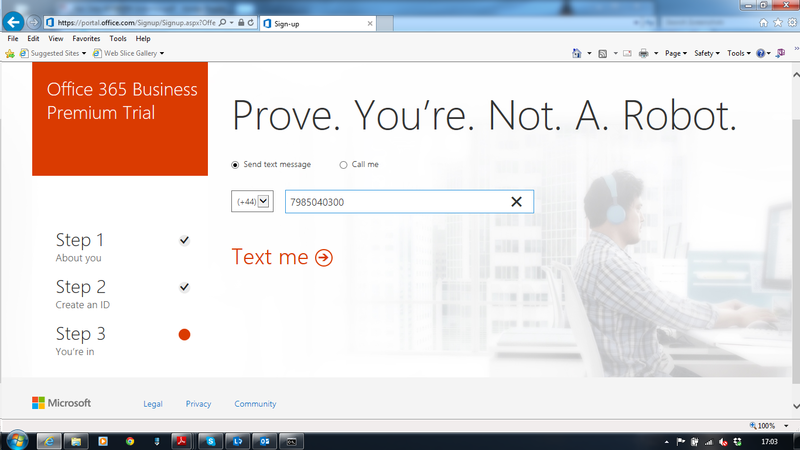 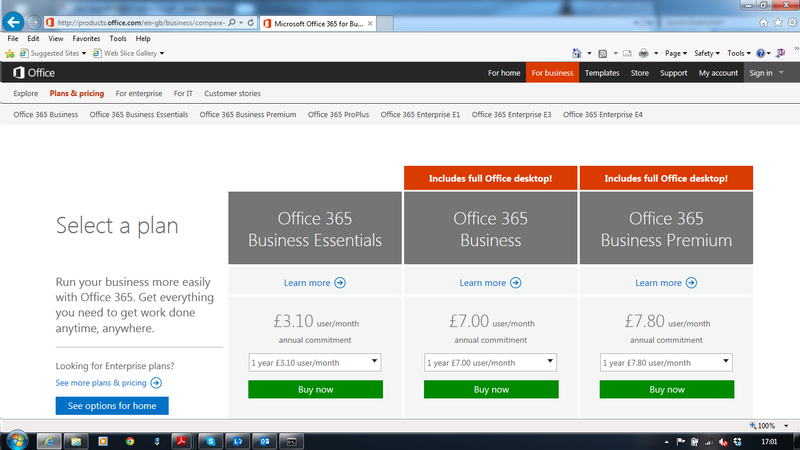 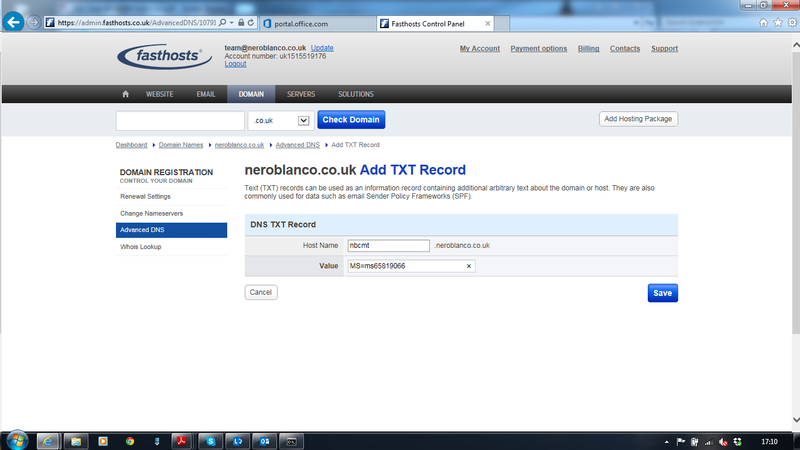 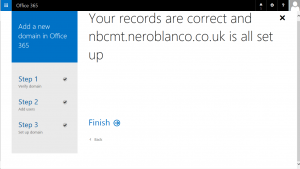 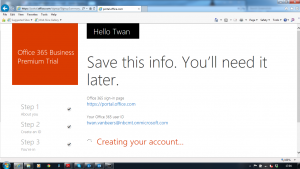 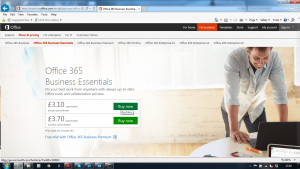 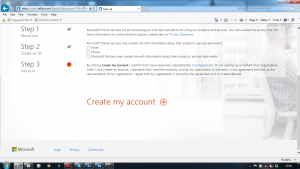 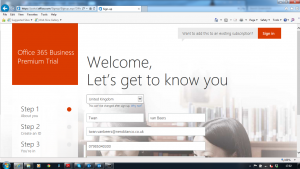 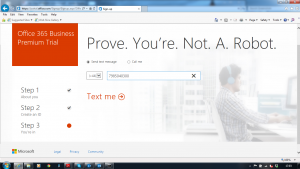 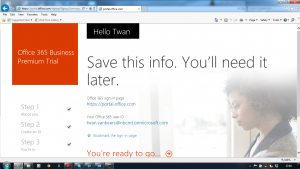 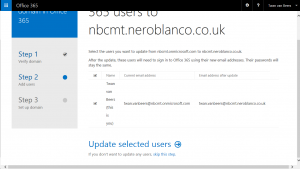 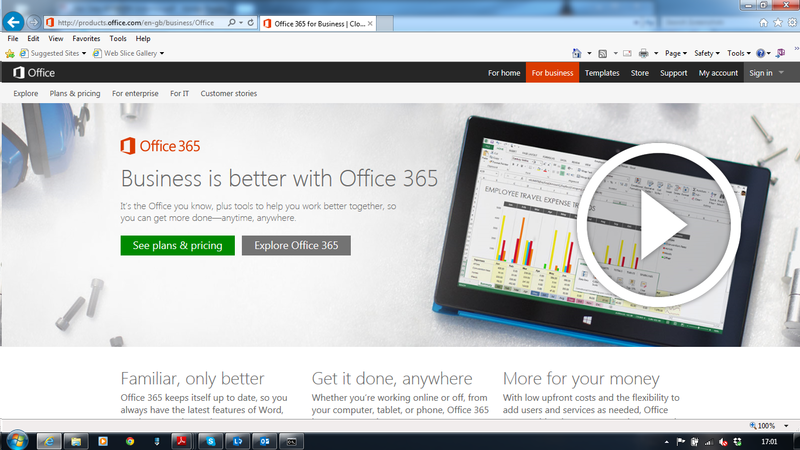 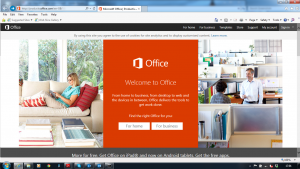 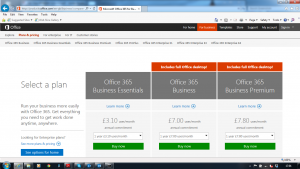 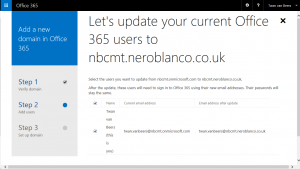 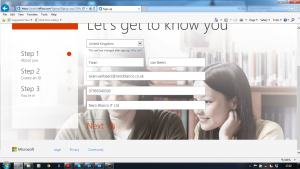 Right we now have a basic Office 365 tenant, that can send and receive mail, as well as do Lync chats. 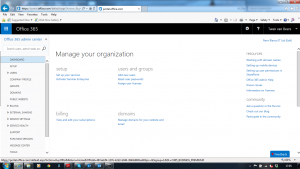 If you chose one of the other plans then you may have additional services like SharePoint as well. 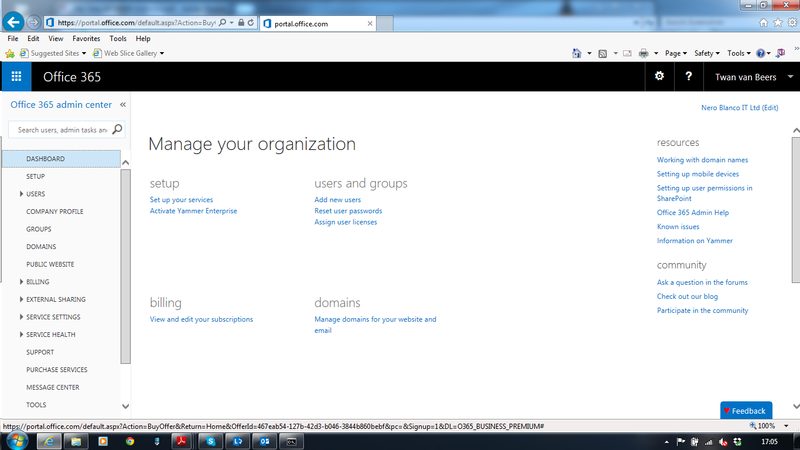 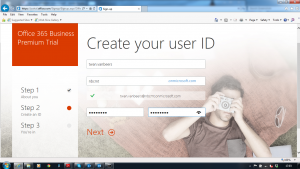 However, using the onmicrosoft.com name isn’t that user friendly. 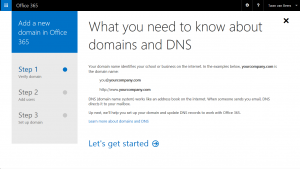 So let’s tie a DNS or email domain to our tenant in the next set of steps. 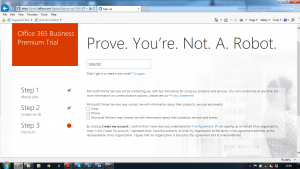 Microsoft now wants us to prove that we own this domain by giving us a specific record that we have to add. 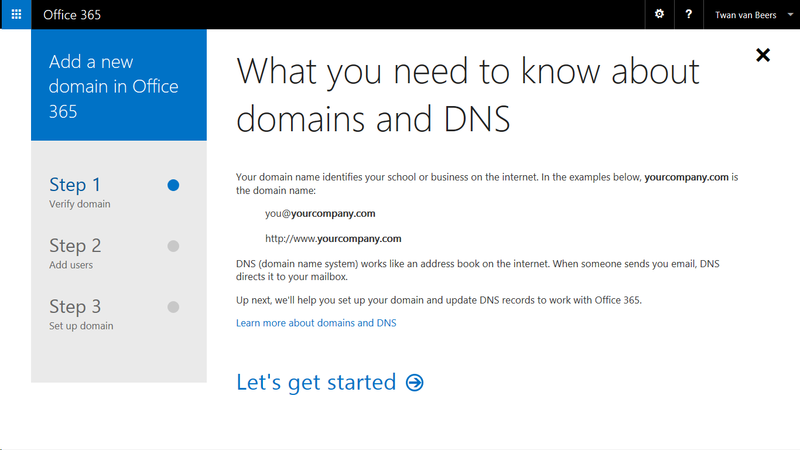 We switch to another browser window and go to our DNS domain provider. In our case we are using FastHosts but you may be using a different provider, in general the steps are similar for adding this record. 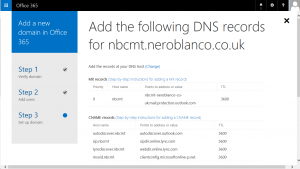 Hurrah, we’ve added the DNS Domain! 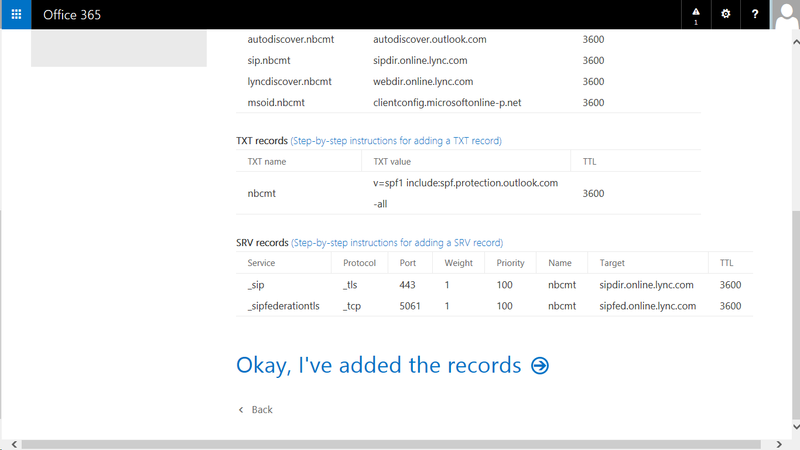 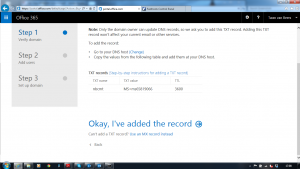 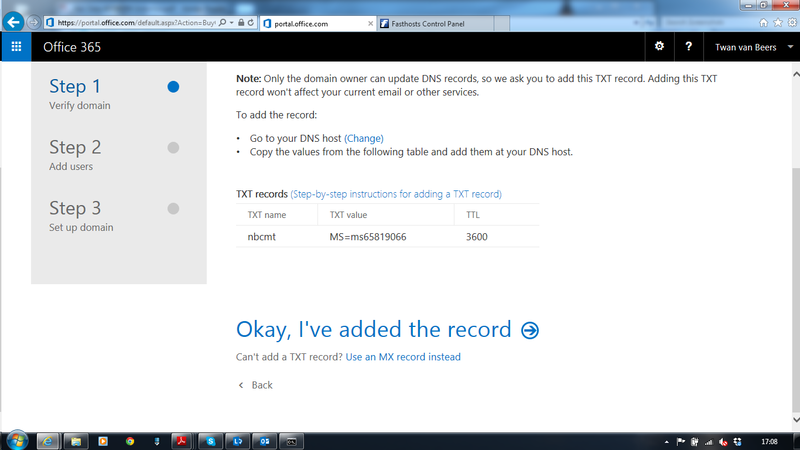 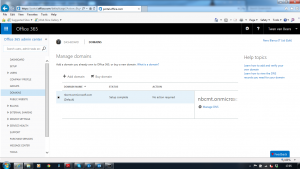 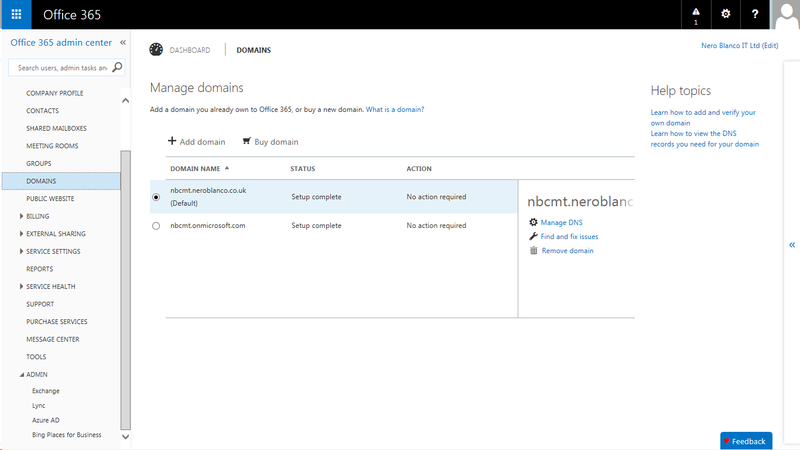 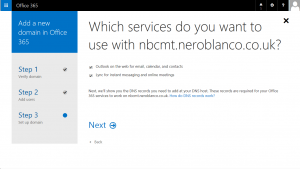 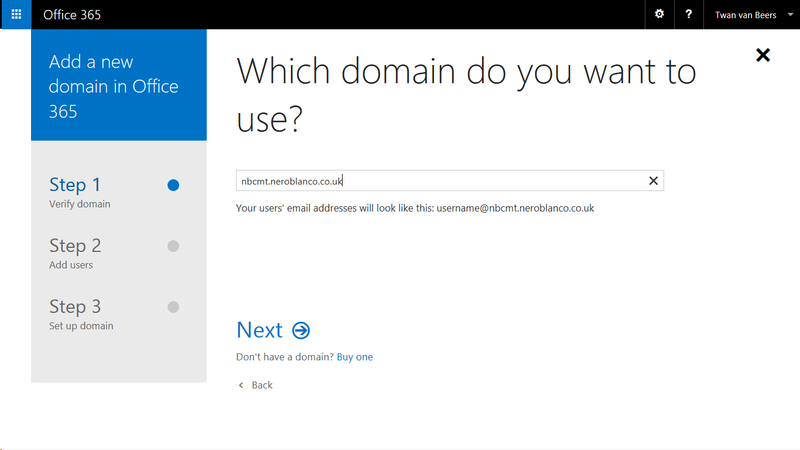 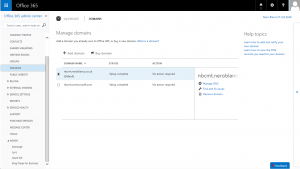 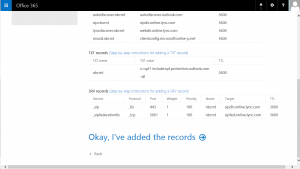 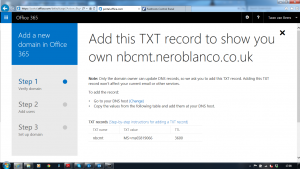 Microsoft now shows you all of the DNS records that you need to add to your domain. 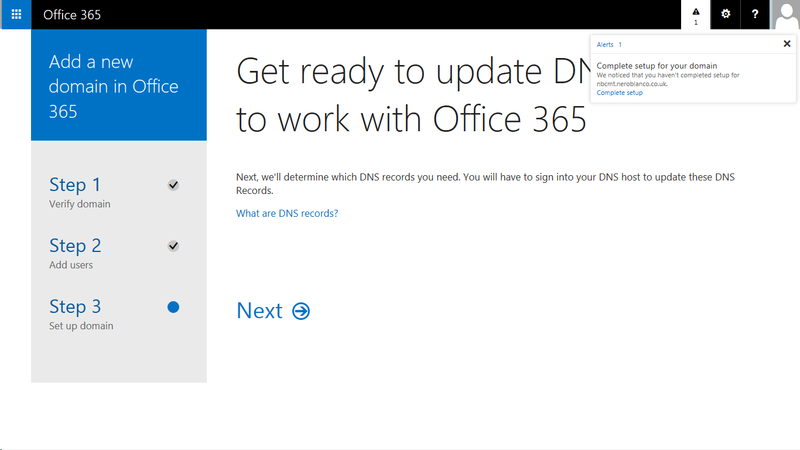 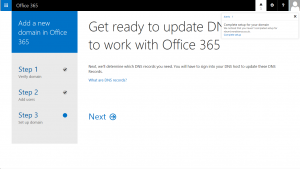 You can click the (Change) link towards the top of the page to even get Microsoft to add the DNS records for you for certain DNS providers. 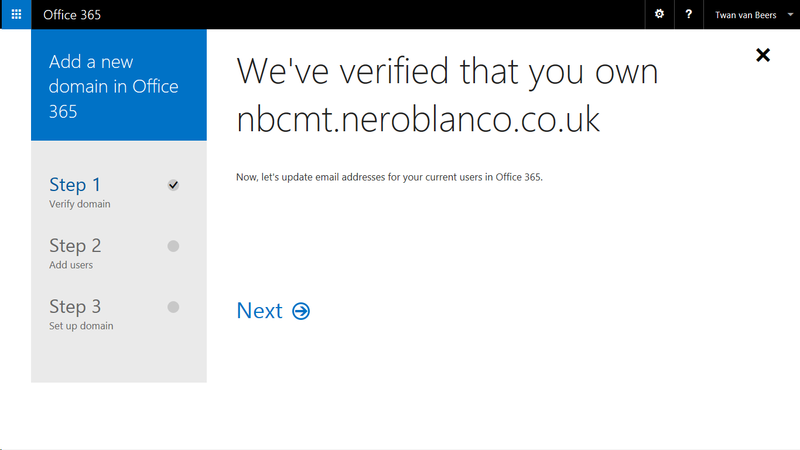 Be careful here though. If you are currently using the domain for services like email, you may want to wait until the tenant is fully configured and tested before you let it receive all of your Internet email. Yaye! 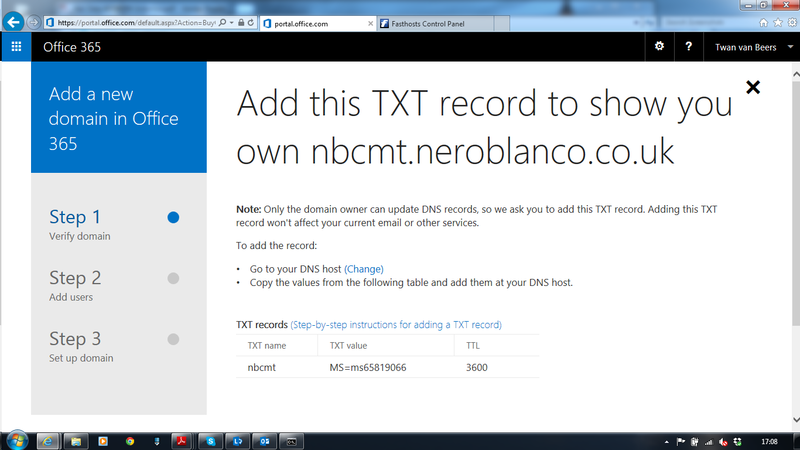 we’re all done, and our friendly DNS domain has been added. 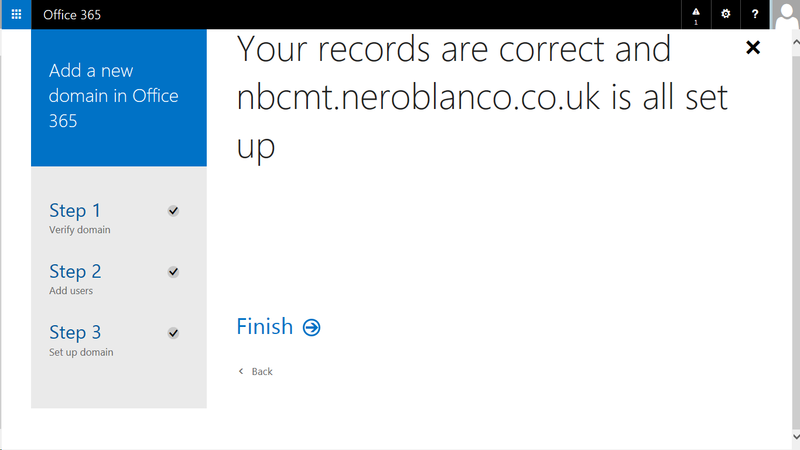 Wow that wasn’t too bad was it! 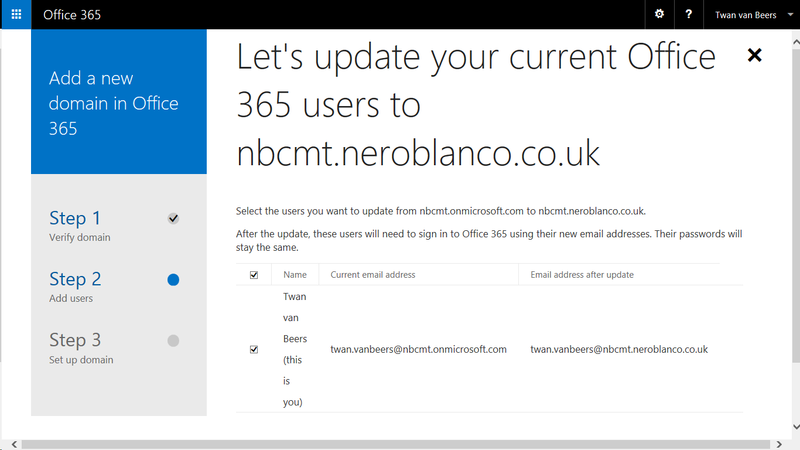 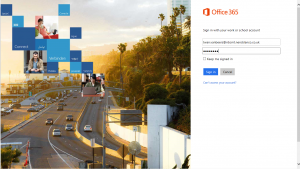 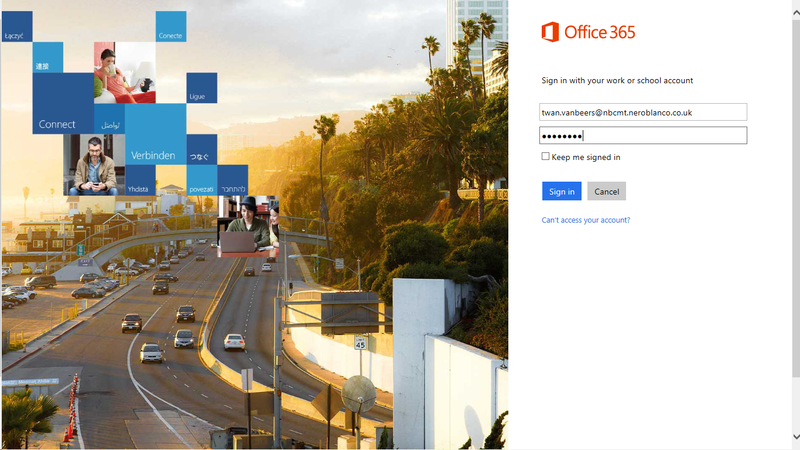 You can now configure your Office 365 tenant exactly how you want. If all of this is too much work or you are uncertain about any part of it, please contact us and we can help you through the process or provide on going support.